My daughter and I have been looking to do a blog post together and here it is! I wanted to create a recipe that used only ingredients from our farm box, was kid friendly and would allow my daughter to do most of the preparations. She loves sweet potatoes so shredding and frying them was a no brainer. Apple sauce is really easy to make and I wanted to incorporate some of the oranges we have been getting from our CSA. This is the time of year for tangelos which are so juicy I eat them over the sink and still feel like I need a shower after. The pancakes are labor intensive with all the frying involved, but the result is so worth it. I think this is a farm box dish almost any kid would enjoy! Stir and then squeeze out the liquids. We did this by putting it into a cheesecloth. 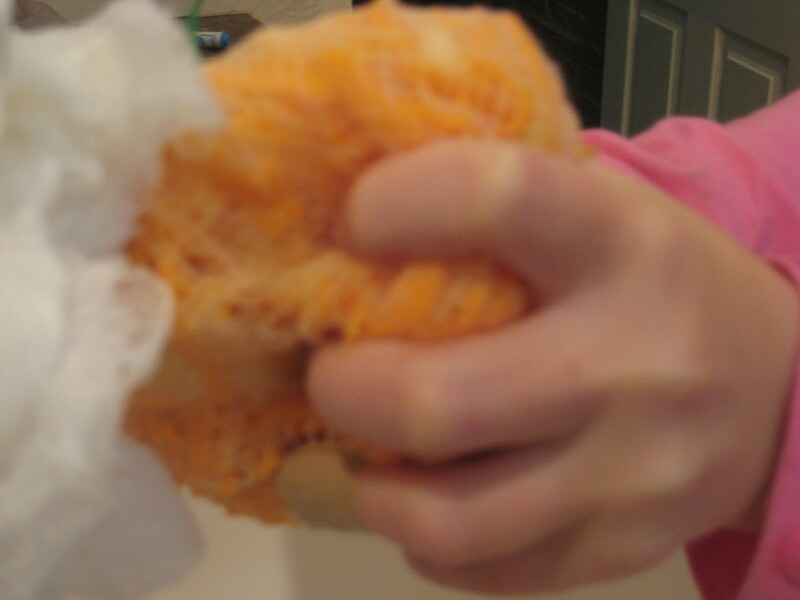 It was a amazing how much liquid my daughter squeezed out. Then form patties and fry. You really need to watch them so they don’t burn. They are delicate so wait until they set until you flip them. Dry on paper towels and keep them in a warm oven until you are ready– but they are best eaten immediately. Combine all ingredients and cook over low heat. My daughter thought stirring a lot was necessary and it kept her busy! 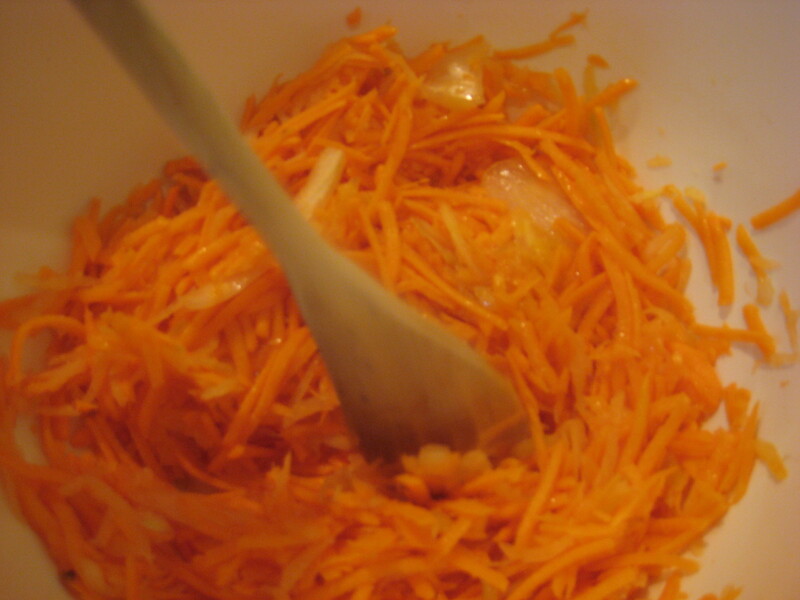 Once fruit softens pulse in food processor until smooth. 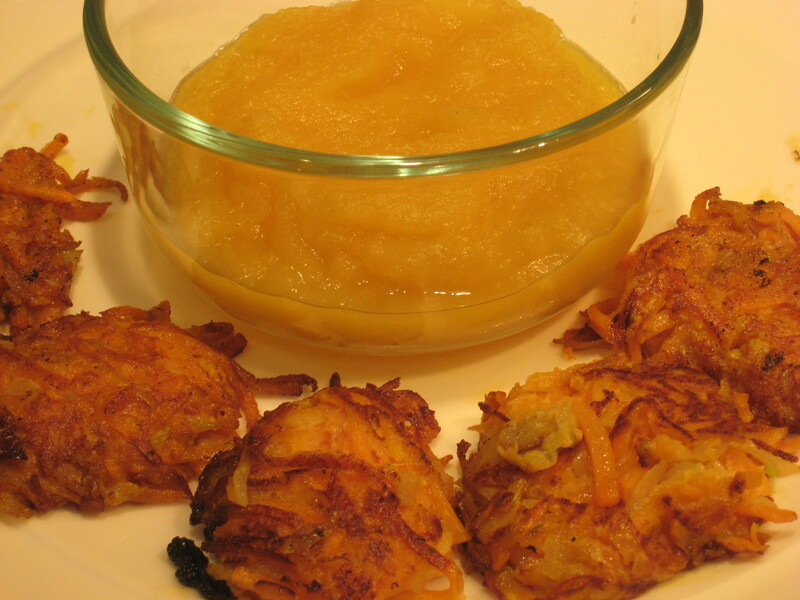 Great for dipping potato pancakes or eating plain!